Uttarakhand often called the Land of the Gods (Dev Bhoomi), because of its various holy places and abundant shrines. The hilly regions of Uttarakhand offer magnificent landscapes to the tourist-pilgrim. Uttarakhand remained a part of Uttar Pradesh before it came into being on 9 November, 2000, the 27th State of India. Located in the foothills of the Himalayas, the State has international boundaries with China (Tibet) in the north and Nepal in the east. On its north-west lies Himanchal Pradesh, while on the south is Uttar Pradesh. Its capital is the northwestern city of Dehradun. Uttarakhand surrounded by huge Mystic Mountains, lush green Valleys, rhythmic rivers, Divine Shrines, the home to innumerable Flora and Fauna is a Gift of God to Humans. No wonder for years, for Millions of nature Lovers this beautiful state sitting in the Lap of Himalayas Known as Uttarakhand has become a heaven to discover their inner self far away from the maddening crowd of city life. Extensive Research and Travel All across the state enabled us to gather every single Information you ever wanted to know about this beautiful land. 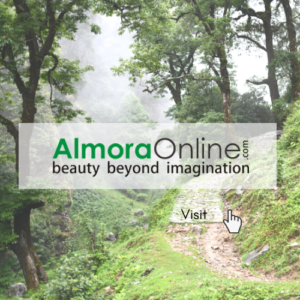 Coupled with Our research and experiences we bring you the best of Uttarakhand. On Nov. 9, 2000, the state of Uttaranchal — the 27th state of India—was carved out of Uttar Pradesh; in January 2007 the new state changed its name to Uttarakhand, meaning “northern region,” which was the traditional name for the area. Area 19,739 square miles (51,125 square km). Pop. (2008 est.) 9,497,000. Uttarakhand literally means Northern part. Earlier it was a part of the state of Uttar Pradesh but now it is an independent state. Uttarakhand is also known as ‘The Land of Gods’ and ‘The Heavenly Abode’. Uttarakhand is a land steeped in many layers of history, culture, ethnicity, and religion. Ancient rock paintings, rock shelters, Paleolithic stone tools (hundreds of thousands of years old), and megaliths indicate that the mountains of the region have been inhabited by humans since prehistoric times. Archaeological remains also support the existence of early Vedic (c. 1500 bce) practices in the area. Aside from what has been learned from such archaeological evidence, very little is known about the early history of Uttarakhand. 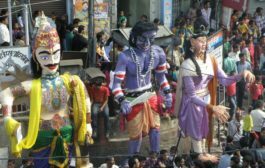 Early scriptures mention a number of tribes that inhabited the Garhwal and Kumaun regions of what is now Uttarakhand. Among these early residents were the Akas, Kol-Munds, Nagas, Paharis (Khasas), Hephthalites (Hunas), Kiratas, Gujjars, and Aryans. The Paharis were the dominant group in both the Garhwal and the Kumaun areas until the coming of the Rajputs and high-caste Brahmans from the plains around the 13th century. 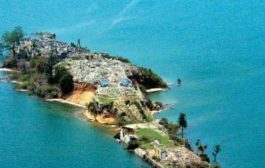 It was only in post independence India that the Uttarakhand region began to receive significant attention in the regional literature, when the autonomous princely state of Tehri – Garhwal was incorporated into the United Provinces of India in 1949. With the adoption of a new Indian constitution in 1950, the United Provinces was renamed Uttar Pradesh and became a constituent state of India. Grappling with a large population and a vast land area, the government of the new state—seated at the southeastern city of Lucknow—found it difficult to address the interests of the people in the far-northern region. Unemployment, poverty, lack of adequate infrastructure, and general underdevelopment ultimately led the people of Uttarakhand to call for a separate state shortly after the creation of Uttar Pradesh. Initially, protests were weak, but they gathered strength and momentum in the 1990s. The tension reached a climax on Oct. 2, 1994, when police fired on a crowd of demonstrators in the northwestern town of Muzaffarnagar, killing a number of people. The separatists continued their agitation for the next several years. Finally, in November 2000 the new state of Uttaranchal was created. In 2007 Uttaranchal became Uttarakhand, reclaiming the name by which the region had been known prior to statehood. The region was originally settled by the Kols, an aboriginal Dravidian tribe, who were later joined by Indo-Aryan Khas tribes that arrived from the northwest region of India and beyond in the Vedic period. But traces of human existence have been found in the Kumaon region belonging to Mesolithic Age like the paintings of Lakhu Udyar (Near Chittai). By 8th century, Adi Shankaracharya had made inroads here and reestablished some extremely sacred Hindu shrines like Badrinath and Kedarnath. Uttarakhand has a highly varied topography, with snow-covered peaks, glaciers, deep canyons, roaring streams, beautiful lakes, and a few patches of dusty plains in the south. Some of the highest mountains in the world are found in Uttarakhand. Most notably, these include Nanda Devi (25,646 feet [7,817 metres]), which is the second highest peak in India, Kamet (25,446 feet [7,756 metres]), and Badrinath (23,420 feet [7,138 metres]). Uttarakhand can be divided into several physiographic zones, all running parallel to each other from northwest to southeast. The northern zone, popularly known as the Himadri, contains segments of the Zaskar and the Great Himalaya ranges, with elevations ranging roughly from 10,000 to 25,000 feet (3,000 to 7,600 metres). Most of the major peaks are located in this zone. 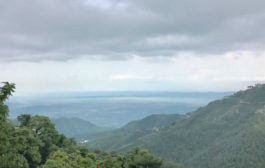 Adjacent to and south of the Great Himalayas is a zone containing the Lesser Himalayas, known popularly as the Himachal, with elevations between about 6,500 and 10,000 feet (2,000 to 3,000 metres); the zone has two linear ranges—the Mussoorie and the Nag Tibba. To the south of the Himachal is a stretch of the Siwalik Range. The entire area containing the Himadri, the Himachal, and the Siwaliks is broadly known as the Kumaon Himalayas. The southern edge of the Siwalik Range merges with a narrow bed of gravel and alluvium known as the Bhabar, which interfaces to the southeast with the marshy terrain known as the Tarai. The combined Siwalik-Bhabar-Tarai area ranges in elevation from 1,000 to 10,000 feet (300 to 3,000 metres). South of the Siwaliks are found flat-floored depressions, known locally as duns, such as the Dehra Dun. The state is drained by various rivers of the Ganges (Ganga) system. The westernmost watershed is formed by the Yamuna River and its major tributary, the Tons. The land to the east of this basin is drained by the Bhagirathi and the Alaknanda—which join to form the Ganges at the town of Devaprayag—and the Mandakini, Pindar, and Dhauliganga, all principal tributaries of the Alaknanda. To the east again are the southward-flowing Ramganga and Kosi rivers, and draining to the southeast in the same region are the Sarju and Goriganga, both of which join the Kali at Uttarakhand’s eastern border with Nepal. Uttarakhand has various types of soil, all of which are susceptible to soil erosion. In the north, the soil ranges from gravel (debris from glaciers) to stiff clay. Brown forest soil—often shallow, gravelly, and rich in organic content—is found farther to the south. The Bhabar area is characterized by soils that are coarse-textured, sandy to gravelly, highly porous, and largely infertile. In the extreme southeastern part of the state, the Tarai soils are mostly rich, clayey loams, mixed to varying degrees with fine sand and humus; they are well suited to the cultivation of rice and sugarcane. The climate of Uttarakhand is temperate, marked by seasonal variations in temperature but also affected by tropical monsoons. January is the coldest month, with daily high temperatures averaging below freezing in the north and near 70 °F (21 °C) in the southeast. In the north, July is the hottest month, with temperatures typically rising from the mid-40s F (about 7 °C) to about 70 °F daily. In the southeast, May is the warmest month, with daily temperatures normally reaching the low 100s F (about 38 °C) from a low around 80 °F (27 °C). Most of the state’s roughly 60 inches (1,500 mm) of annual precipitation is brought by the southwest monsoon, which blows from July through September. Floods and landslides are problems during the rainy season in the lower stretches of the valleys. In the northern parts of the state, 10 to 15 feet (3 to 5 metres) of snowfall is common between December and March. 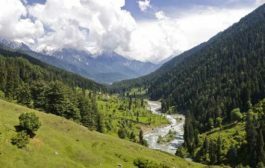 Four major forest types are found in the Uttarakhand, including alpine meadows in the extreme north, temperate forests in the Great Himalayas, tropical deciduous forests in the Lesser Himalayas, and thorn forests in the Siwalik Range and in parts of the Tarai. 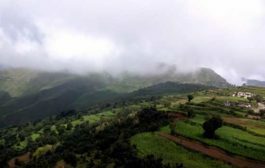 According to official statistics, more than 60 percent of Uttarakhand is under forest cover; in actuality, however, the coverage is much less. The forests provide not only timber and fuel wood but also extensive grazing land for livestock. Only a small portion of the state’s total land area has permanent pastures. Common tree species of the temperate forests include Himalayan cedar (Deodar cedar), Himalayan (blue) pine, oak, silver fir, spruce, chestnut, elm, poplar, birch, yew, cypress, and rhododendron. Tropical deciduous forests of sal, teak, and shisham—all hardwoods—occur in the submontane tract. Thorn forests of dhak (a type of flowering tree), babul (a type of acacia), and various bushes occur in the south. Uttarakhand has a rich array of animal life. Tigers, leopards, elephants, wild boars, and sloth bears are among the state’s large mammals. Common birds include pigeons, doves, ducks, partridges, peacocks, jays, quail, and woodpeckers. Crocodiles are found in some areas. Lions and rhinoceroses have become extinct in the region. A number of national parks and sanctuaries have been established to preserve Uttarakhand’s wildlife.